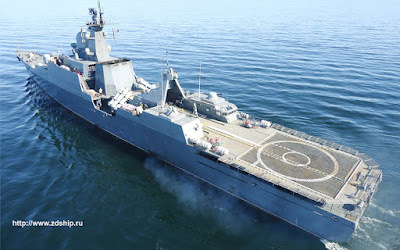 The two countries are talking about the building of the fifth and sixth Gepard-3.9 frigates for the VPN in Zelenodolsk, Rostex said. Previously on May 26, the fourth of its kind was launched at a ceremony in the Zelenodolsk shipyard. Having a displacement of approximately 2,000 tonnes, the Gepard-3.9 is able to operate for 45 days at sea and travel up to 5,000 nautical miles (9,000km). It can also be used for non-military purposes, such as search and rescue, fighting pirates and illegal fishing activities, and assisting vessels in distress.